HOLLAND, OH, September 12, 2018 /24-7PressRelease/ — The Douglas Company, General Contractor, has completed construction of the new Stonecrest of Rochester Hills Senior Living Community in Rochester Hills, Michigan. 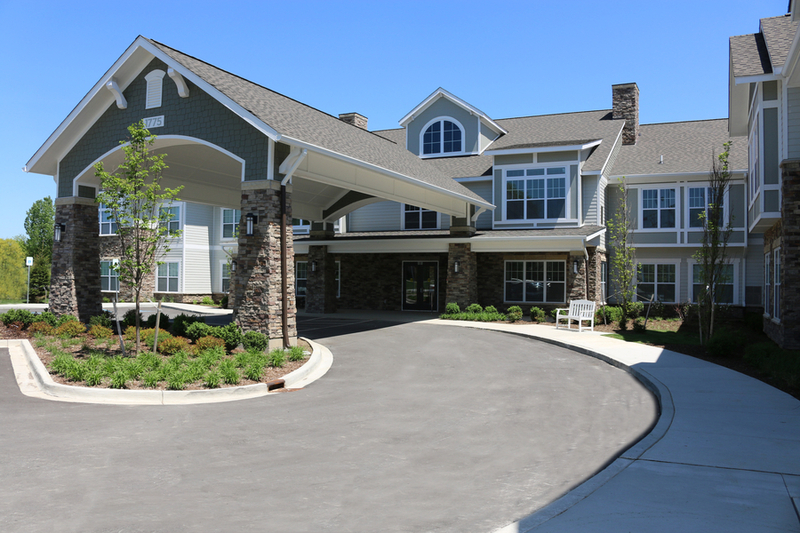 Stonecrest of Rochester Hills marks The Douglas Company’s second senior living project completion with owner and developer, NorthPoint Development. “Stonecrest of Rochester Hills is a beautiful complement to the area, and we are proud to have been part of this project team,” said Preston Knecht, Project Coordinator of The Douglas Company. The upscale 78,342 square foot assisted living and memory care community, is comprised of 87 private apartments; including a single-story, 32-unit memory care building in addition to a two-story assisted living building offering a total of 55 assisted living one and two bedroom suites. This $15 million upscale, elegant community features a variety of amenities for seniors; including an arts and crafts room, beauty salon, movie theater, cyber cafe, and exercise room. The exterior layout consists of an outdoor second-floor country kitchen, one memory care courtyard, two assisted living courtyards, a putting green, and outdoor grills; all complemented by the exterior finishes of stone veneer and fiber-cement siding. The modern Stonecrest of Rochester Hills was designed by Pi Architects of Austin, Texas, making it a distinctive addition to the Rochester Hills senior living community. The Douglas Company is an industry-leading general contractor specializing in senior living and multifamily construction. For over 40 years, The Douglas Company has consistently completed projects under budget and ahead of schedule while contributing to the success of their clients and associates. The Douglas Company, a seven-time honoree on the INC. 5000 list of fastest-growing private companies, is headquartered in Holland, Ohio with a second office located in Orlando, Florida.